Mara Register from the Mayor's office of the City of Valdosta came to the Lowndes County Commission to speak about Valdosta Downtown Farm Days, May through September. One of the wonderful things about this event is it highlighted our beautiful historic courthouse. It highlighted our local growers and producers, and our historic downtown. But also went further to help promote healthy eating in our community. ...bringing people together to the downtown area to take advantage of the products that were produced here locally. The sense of conviviality was just wonderful, bringing the community together. It's very exciting actually to see several of our vendors here this evening. "Steven H. Prigohzy, education advocate and developer of one of the country’s first open magnet schools." Results of PEF's plans for Chattanooga/Hamilton Co. schools? The partnership between Public Education Foundation, headed by Steven H. Prigohzy, and the consolidated public schools in Chattanooga and Hamilton County, Tennessee continues. So, how have all those great plans for improving education worked out? In 1994 Chattanooga city voters voted to turn responsibility for education over to the county, requiring the two systems to merge. At the request of the Hamilton County School Board, PEF surveyed 3,300 area residents and convened 135 community members – educators, civic and government leaders, residents, parents and students – to help shape the vision for the new school system. When the newly consolidated system emerged in 1997, the partnership with PEF continued. In the years 2005 – 2010, Hamilton County Public Schools will meet or exceed national benchmarks for excellence with continuous, measurable improvement in reading, mathematics, and in the numbers of students who progress smoothly from grade to grade, graduate from high school and go on to college or career-path jobs. Because of this sustained progress, Hamilton County will be recognized among the very best mid-sized public school systems in America. The community will be justifiably proud and more and more people will understand and support the investment necessary for great public schools. The Public Education Foundation will be instrumental in these achievements as a champion of school transformation and will devote its expertise and fundraising capabilities to the Hamilton County Public Schools as a catalyst for bold ideas that create real and positive change. A month after the election, the board voted to ask the Public Education Foundation to help frame the new system. The move was partly on the advice of educators in Knoxville, who faced a raft of problems after consolidating rapidly with Knox County eight years ago. The foundation, one of the wealthiest local education foundations in the country, has worked closely with educators in both the city and county. Its president, Steven H. Prigohzy, is a dynamo with a clear vision of where he’d like to take education in the new system. Videos are appearing in this playlist of the 27 September 2011 school unification propaganda meeting by CUEE and the Valdosta-Lowndes County Chamber of Commerce (VLCoC). And if CUEE or VLCoC doesn't want to see me call it propaganda, nothing's stopping them publishing their own videos of the event, as I already suggested yesterday. Unless maybe they don't want people to see their speakers contradict each other. If you're here because you came to category CUEE 26 September 2011, that category only exists because I made a typo. Please go to CUEE 27 September 2011 instead. "The members of the CUEE, they send their children to private schools." Now let's look at the Chamber's board. Tom Gooding is the Chamber's Chair, and Terri Lupo is on the board, and is the Chamber's immediate past Chair. That's right, Gooding and Lupo just switched spots (Chair and past Chair) with both the Chamber and Valwood. CUEE's paid expert from Chattanooga, Steve Prigohzy, started and ran a magnet school in Chattanooga, much like the one in Troup County that is still causing extra costs and consternation eighteen years after unification. Prigohzy's school also used prison labor to avoid spending on local labor. 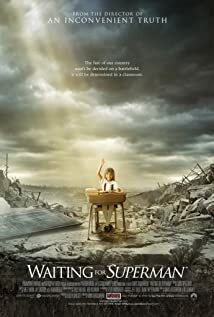 After reading Barbara Stratton's piece about Steve Prigohzy screening a movie about magnet schools, I wondered, who is this Steve Prigohzy, anyway? CUEE never showed us his resume, as near as I can tell, and they're a private organization, so they don't have to. But his tracks are all over the Internet. The reference to the consolidation process which produced a magnet school in Troupe Co. without any improvements in general academic or financial improvement takes me back to my first CUEE meeting experience. It was held at the new Valdosta Boys & Girls Club. VDT news articles stated the meeting would be to discuss consolidation.